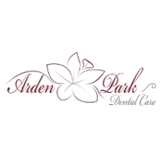 Arden Park Dental Care (Sacramento) - Book Appointment Online! At Arden Park Dental Care we can fix chipped, cracked or stained teeth with gorgeous Lumineers™-like materials for veneers or tooth bonding. At Arden Park Dental Care we also have years of experience with natural-looking porcelain crowns and tooth-colored composite fillings.